Including this one, there's just four more Monday's before Election Day on Tuesday, November 4th here in Illinois. That means just four more "Candidate Facebook Weekend" posts! 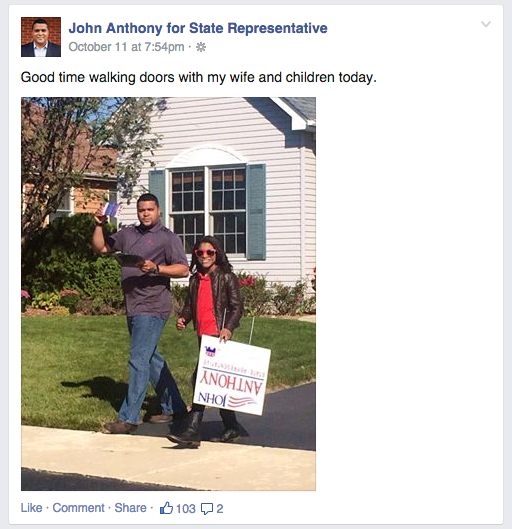 State Representative John Anthony was out - with his wife - meeting voters door-to-door- in his district. 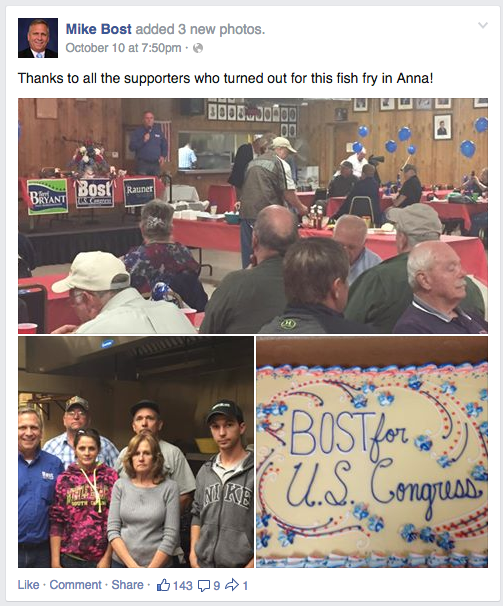 Congressional candidate Mike Bost hosted a fish fry in Anna where he had a great turnout and what looks like a pretty tasty sheet cake! 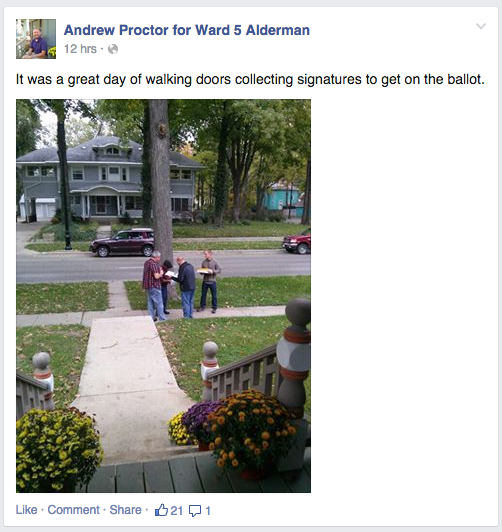 Andrew Proctor - who is running for Springfield City Alderman was out rounding up signatures to get him on the ballot for the Spring election. Good to see Andrew out there working! 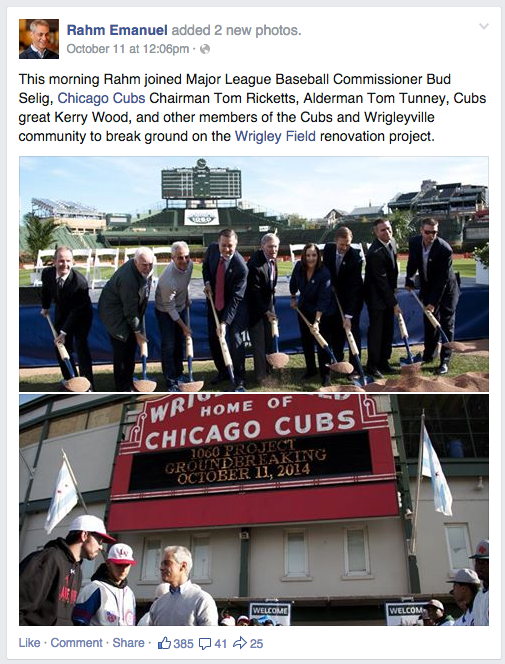 Mayor Rahm Emanuel brought together the Cubs and Alderman Tom Tunney (who was fighting every step of the way in this process) and the official ground-breaking of the Wrigley renovations. Kerry Wood was too cool to take off his shades! 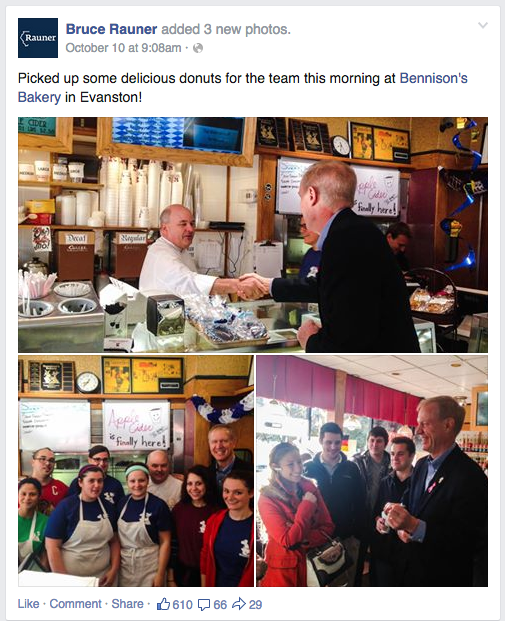 Gubernatorial candidate Bruce Rauner was out early at Bennison's Bakery in Evanston to pick up some sweet treats and meet voters. 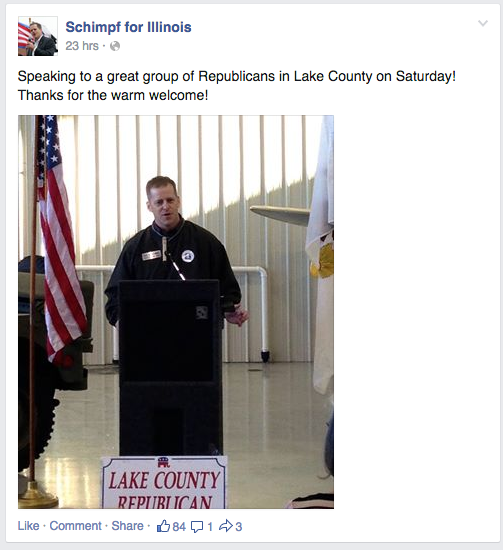 Illinois Republican Attorney General nominee Paul Schimpf was up in Lake County to speak to the Republican organization and get them fired up to beat "The Madigan Machine." 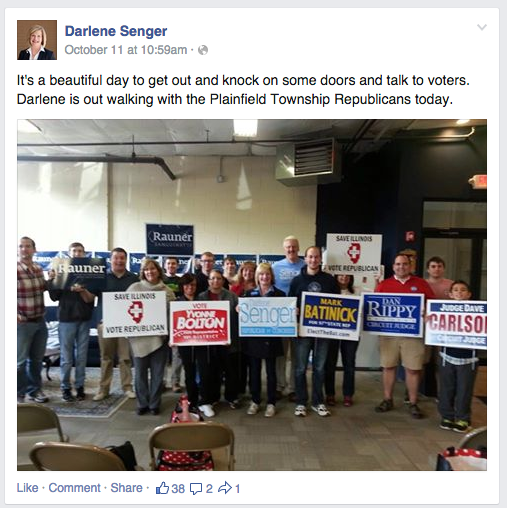 Congressional candidate Darlene Senger was out with her crew knocking on doors in Plainfield to round up the vote in her race against do-nothing Congressman Bill Foster.